After enjoying the build up to the recent Apple event in San Francisco, we are now sitting in the aftermath of the company announcements which brought us the new iPad, a revamped Apple TV unit, various application upgrades and an immediate release of the iOS 5.1 software. For the most part, the Apple loving world will have walked away from the live streams of the event being extremely happy with what was announced. However, for those of you who rely on jailbreaking and unlocking your devices, the release of iOS 5.1 may not have been such good news. It seems like only yesterday that we eventually welcomed the release of a stable, untethered jailbreak for the iPhone 4S and iPad 2 running iOS 5.0.1, but Apple have flipped the community on its head again by releasing iOS 5.1 which brings about a whole new cat and mouse game. Needless to say, any jailbreak for an earlier release of iOS 5.0.1 which relied on a software based vulnerability will no longer be available for this latest version, with Apple acting quickly to patch all of the holes researchers have found. French security researcher Pod2g could be forgiven for taking a little time away from his work considering he spent the better part of three months crafting out the iOS 5.0.1 jailbreak that the community is enjoying. In November of last year, he reappeared on the scene with the announcement that he had found a bug in iOS 5.0.1 which he believed could provide the sought after untethered jailbreak across A4 and A5 devices. After working closely with other development teams, and ultimately forming the jailbreaking ‘Dream Team’, he managed to put an end to what seemed like the longest search for an untether in jailbreaking history. 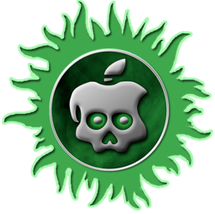 The combined efforts of the team culminated in the release of the Absinthe jailbreak tool as well as the Corona utility being made available through Cydia. 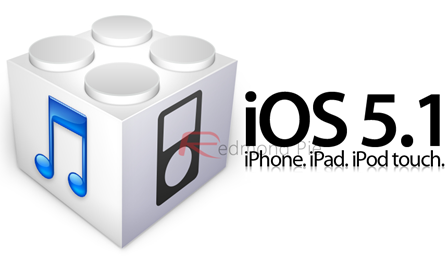 It would seem that the last few months of work, public adoration and ultimate success have given the French researcher the taste, and it has now emerged that he is still involved and actively seeking new vulnerabilities in the iOS 5.1 firmware which could lead to a new jailbreak, possibly for the A5 based devices too. It shouldn’t really come as any great surprise though, as I am pretty sure most of the individuals involved in producing jailbreaks are constantly rifling through all of the beta iOS releases way before the public version is released. Considering his previous efforts have yielded such positive results, and ultimately ended with all of the great jailbreak minds coming together to form a team in pursuit of the same end goal, it is extremely good news to know that Pod2g is carrying on his work for the benefit of the community. In the meantime, both the iPhone Dev-Team and ih8sn0w have updated their respective tools for tethered jailbreak of A4 devices below on iOS 5.1. For jailbreaking the latest iOS 5.1 (tethered), follow the instructions posted here to jailbreak using Redsn0w, or here to jailbreak using Sn0wbreeze.